“How many people are in your group?” He asks Keith Yu and I, when we introduce ourselves as Transhuman Party co-owners at the recent Dinner With Andrew Yang gathering at Tacolicious, in San Francisco, on May 23. “30,” I reply, rounding up from the actual 24 co-owners that constitute our fledging organization. “I’m a journalist,” I chirp. Yang, a relaxed, likable, positive-thinking, 6-foot-tall Chinese-American with self-deprecating wit, hands us his business card. Yang’s motivation is endearingly compassionate. His Venture for America program installed young entrepreneurs in struggling cities like Detroit; the documentary film Generation Start-Up provides an entertaining view of this effort. Yang speaks with assurance, rattling off statistics to back up his ideas. “We need better measurements for the economy,” he insists. He points out that deaths from drug overdoses is at an all-time high, and life extension (a transhumanist priority) has stalled, and even reversed itself, in certain demographics. 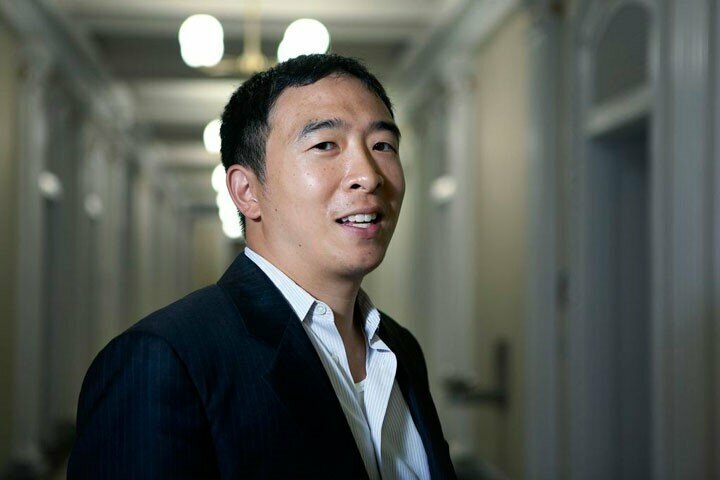 Keith and I fervently believe Andrew Yang is an ideal candidate fro transhumanists to support; that’s why we set up the facebook page and we’re pressing all Transhuman Party co-owners to endorse Yang’s candidacy. 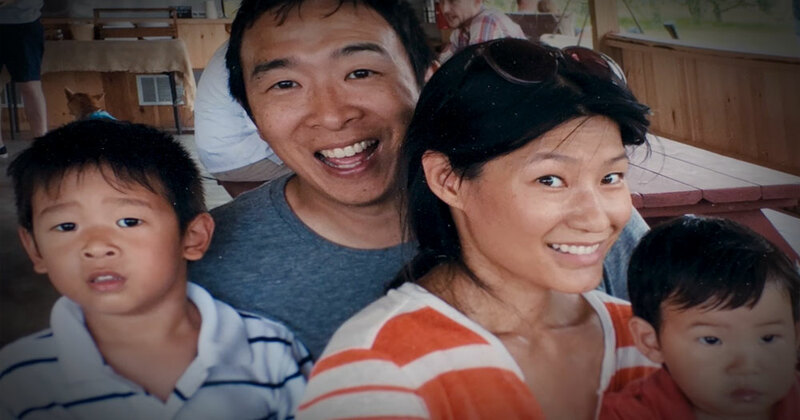 To find out more about Andrew Yang and his “Humanist First” campaign, visit his website. UBI isn’t his only techno-progressive plank idea; examine all 68 policies and you’ll find solid symbiosis with transhumanist thinking.